4 Responses to "Mystery Squeeze Photo #21"
Well obviously Domino era with Hilaire and Christopher in the line-up and could that be the dog from the Domino cover? 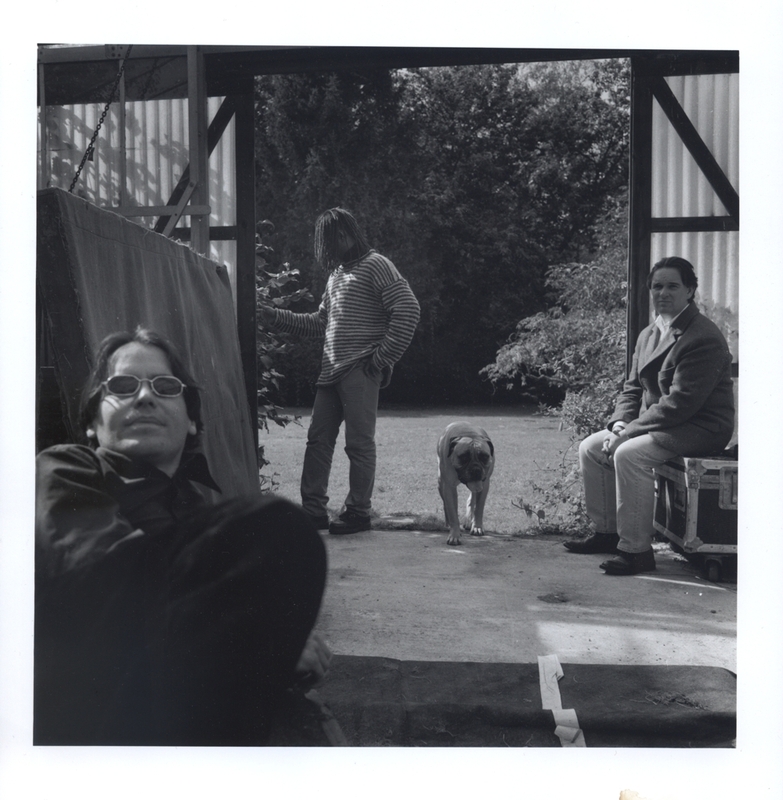 Sorry, Christopher, Hilaire, Chris, 1998, and looks like somewhere they were playing, might be a stage, and definitely one of them strong box things that carries all their equipment. So where did they play outside in the summer? No, looks a bit nesh, they’re covered up. I did see them play a park in Nottingham that year, but not convinced, don’t remember the dog being there. Ok..maybe Im not seeing it because when i first saw it, without my glasses mind you, I swore the guy in the foreground was Jools…but now, glasses on, I see Chris present day and I go with ‘Domino’. (still waking up, tho’) so that would be 1999?